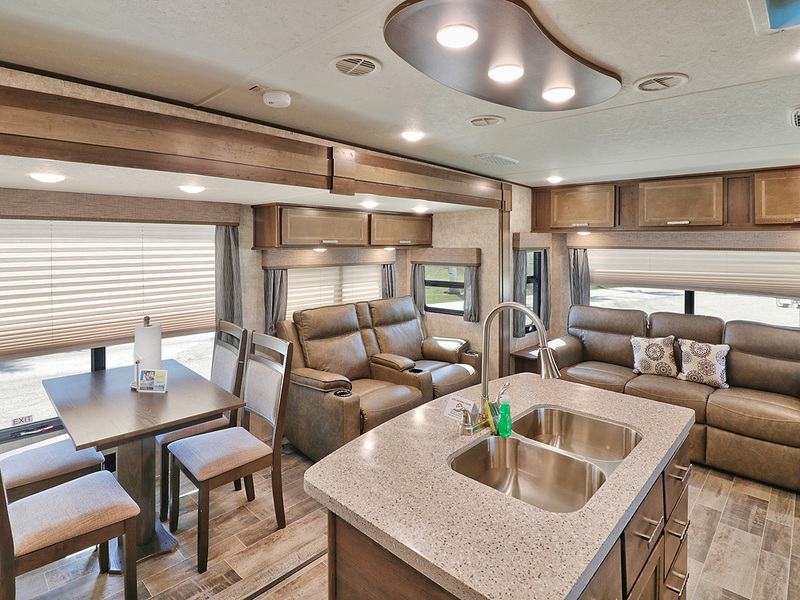 This beautifully appointed one bedroom travel trailer features all the comforts of home. The king size bedroom has its own air conditioning, full closet, dresser and direct access to the full 4-piece pass through bathroom. The island kitchen has a full size refrigerator, stove/oven, and microwave. It is equipped with a coffee maker, toaster, knife block and the accessories needed for daily cooking. Also included are pots and pans, plates, glasses, silverware, and utensils. Just off the 4-piece dining area are two reclining leather chairs for relaxing before the fireplace and television. The living area also features a queen size sofa sleeper. Linens included. Leave your cares behind and enjoy all our island oasis has to offer. No smoking in these rentals please. Two pets maximum permitted. Guests bringing pets in a designated Pet Friendly rental will be charged a $200.00 pet fee. ($150.00 refundable fee and a $50.00 non refundable deep cleaning fee). No RV? No problem! 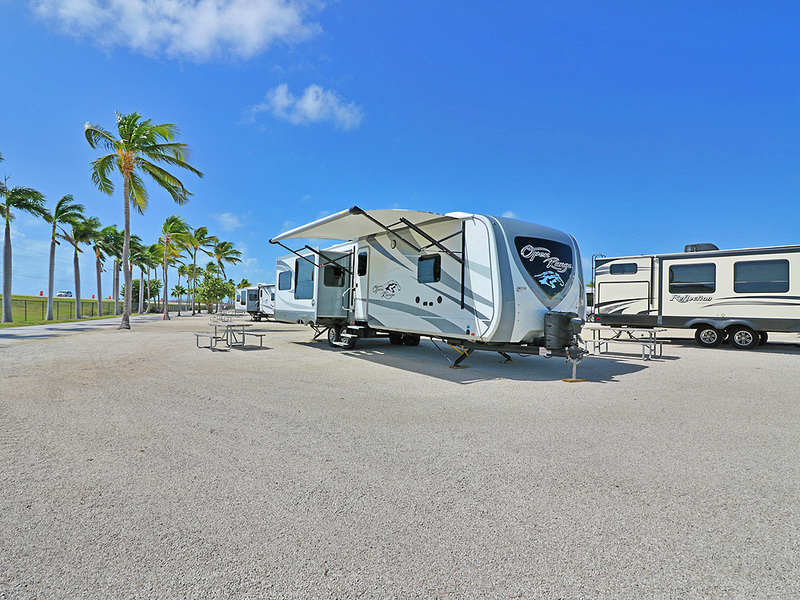 Enjoy all the amenities our beautiful resort has to offer without bringing your own RV. This well appointed two bedroom travel trailer features a master bedroom with a queen-size bed, full closet, dresser, and is adjacent to the full 4-piece bathroom. The second bedroom features two twin-size upper bunks and a full-size sleeper sofa. The island kitchen has a full refrigerator, stove/oven, and microwave. It is equipped with a coffee maker, toaster, knife block and all the accessories needed for daily cooking. Included are pots and pans, plates, glasses, silverware, and utensils. Just off the 4-piece dining area are two reclining leather chairs for relaxing before the fireplace and television. No pets in these rentals please. Although we do not allow pets in them, we do allow service animals and a service animal may have stayed in one of our vacation trailers. No smoking or pets in these rentals please. Although we do not allow pets in them, we do allow service animals and a service animal may have stayed in one of our vacation trailers. Please call 877-570-2267 now for special pricing on stays longer than 180 days.